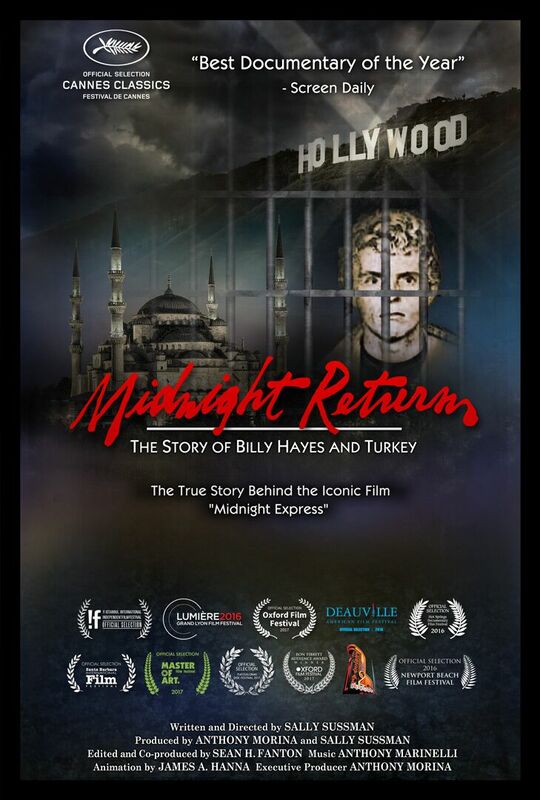 Join us for an EXCLUSIVE Q&A screening of Midnight Return: The Story of Billy Hayes and Turkey at Camelot Theaters! After his ingenious escape from a Turkish prison in 1975, Billy Hayes arrived home to a hero’s welcome, instant celebrity and within a week had a book and movie deal for his story. From the moment it stunned the world at the Cannes Film Festival in 1978, ‘Midnight Express’ cemented its place in film history as an artistic and financial success, before becoming an indelible part of pop culture. But its lasting impact has been on Turkish people worldwide who still condemn the film as racist and blame Billy Hayes for defaming them and their country. In an effort to clear his conscience and re-visit the scenes of his youth, Billy Hayes attempts a rapprochement with the Turkish nation but is refused entry. It is only when he receives an invitation from a most ironic source that he returns to Turkey and faces a nation still haunted by the film and his own demons as well. Billy Hayes and writer/director Sally Sussman will be attending a Q&A on July 24th at 7:30 pm only! This special screening is a fundraiser for The Desert Film Society and Palm Springs Cultural Center.